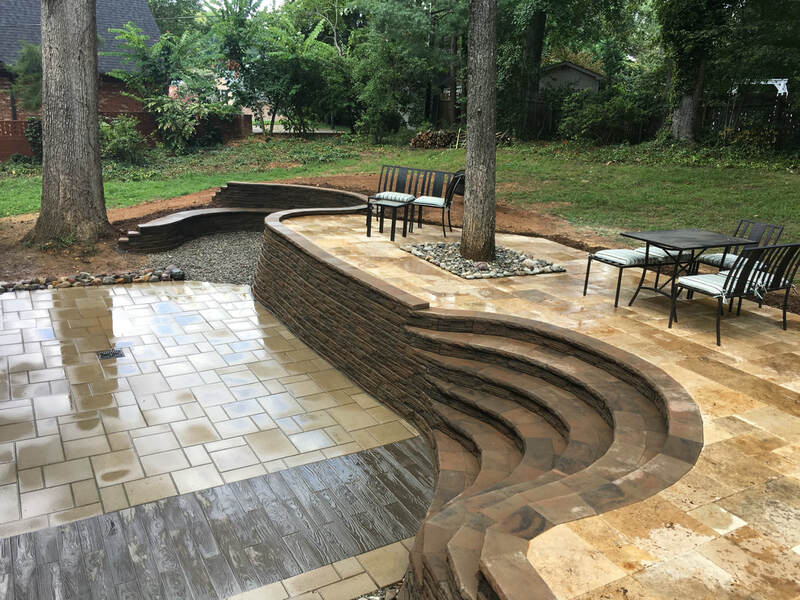 A beautiful dreamscape meant for family and entertaining, this back yard in Charlotte's Sherwood Forest neighborhood features a beautiful Techo-Bloc BLU-60 and Borealis lower patio, a natural travertine stone upper patio, and a warm, curving retaining wall with a grand staircase and an intimate fire pit area. 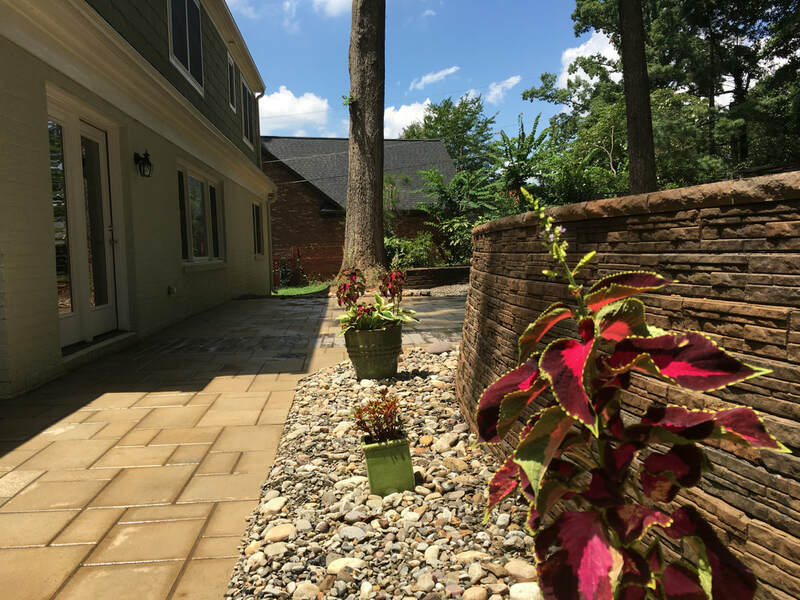 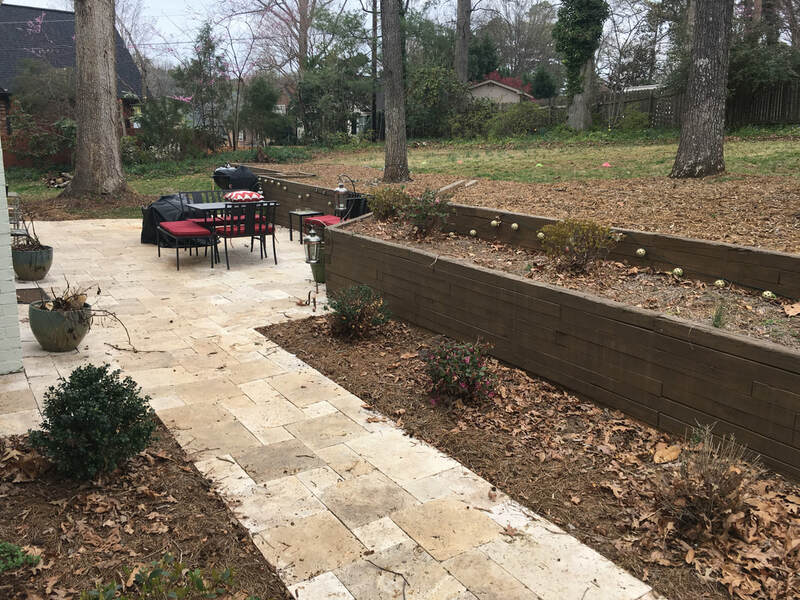 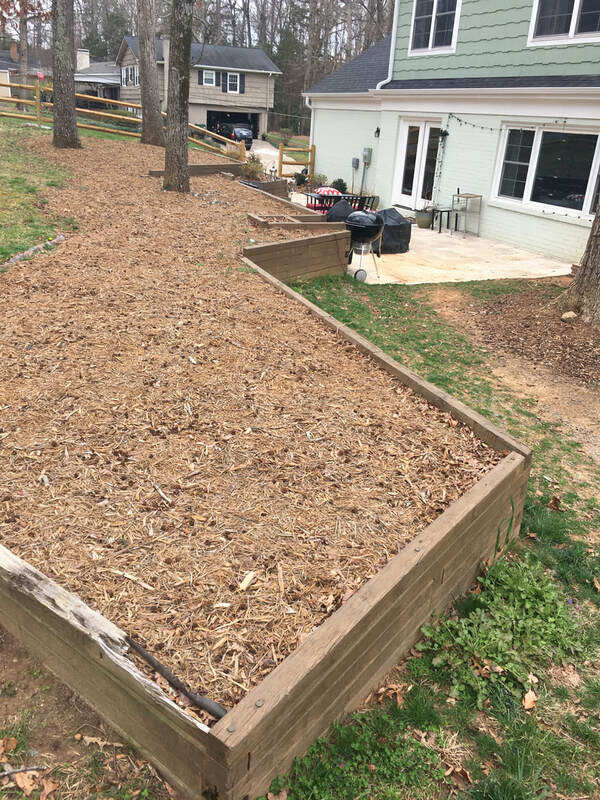 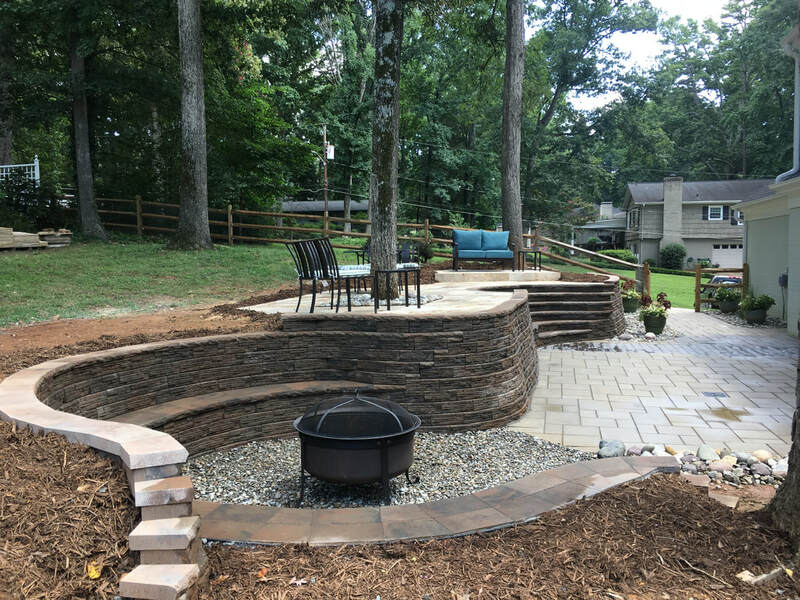 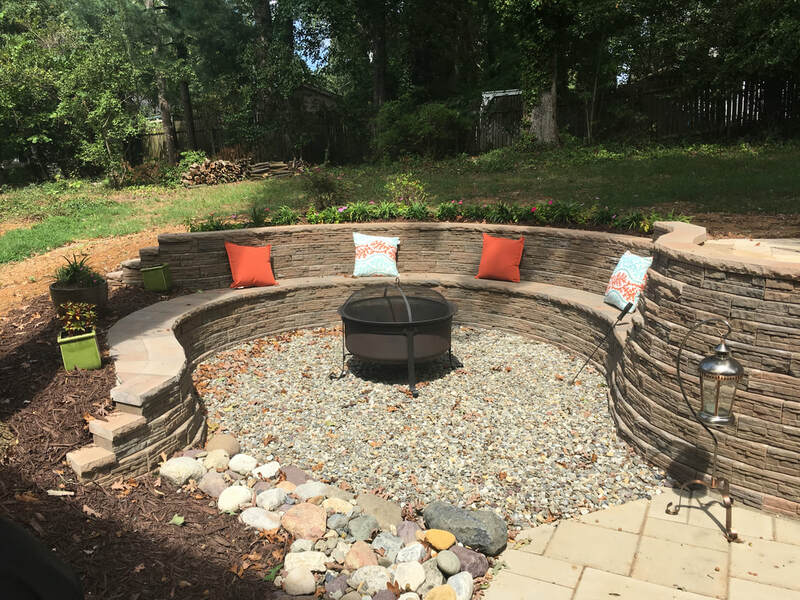 After initial planning and collaboration with our clients, work began with demolition of the existing wooden retaining wall and travertine patio. 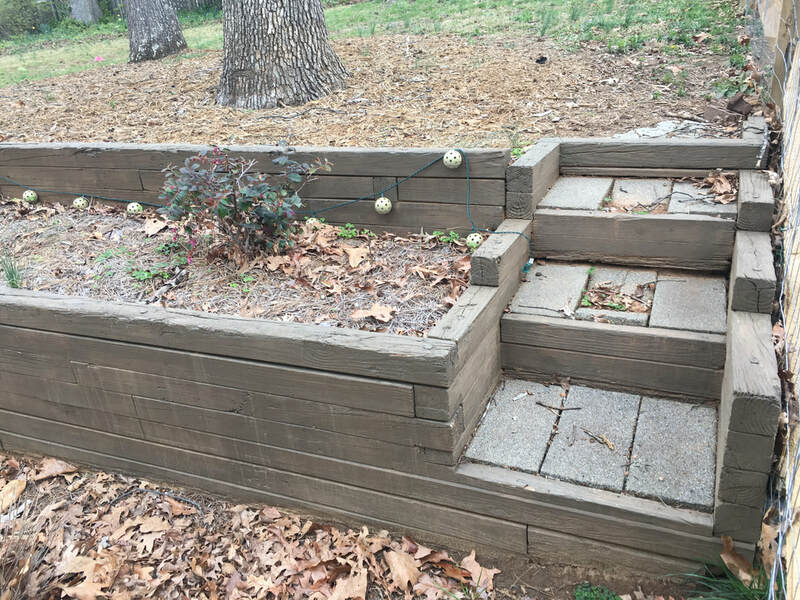 The wall was rotting out and did not have proper drainage behind it. 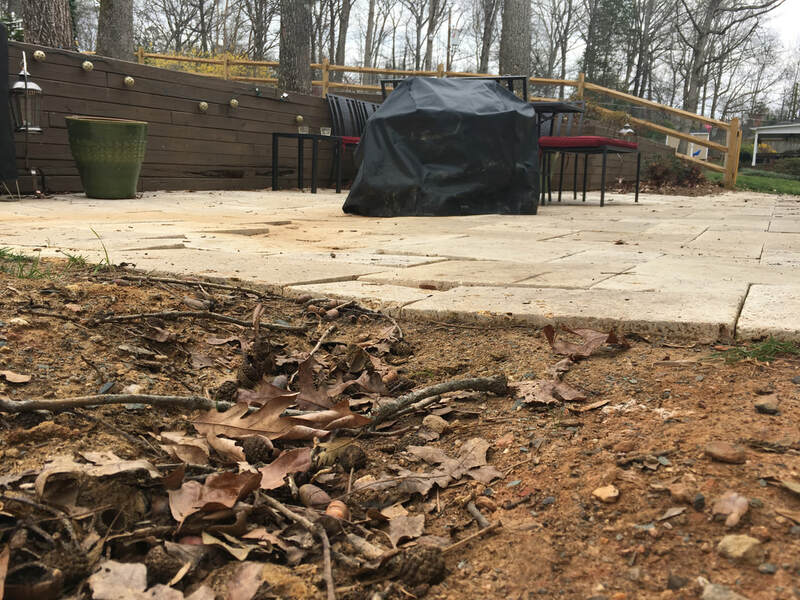 The old travertine patio had been improperly installed on a bed of only 1" of screenings and no foundation beneath that. 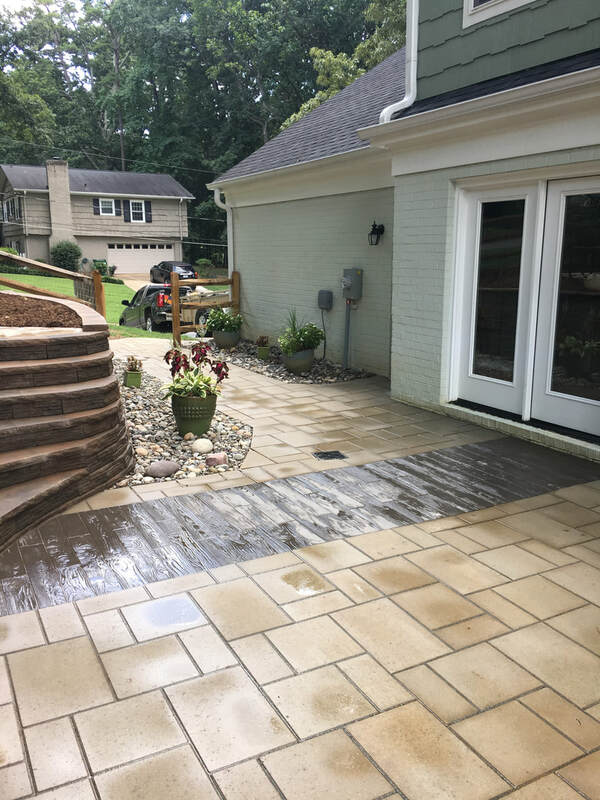 The area also needed drainage work and the old patio was bowl-shaped. 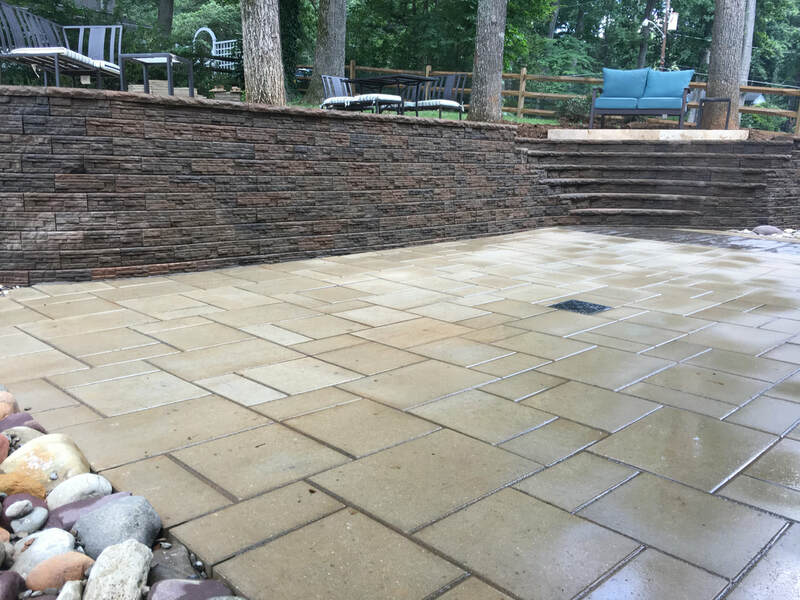 In the "Before" pictures you can see how the travertine slabs were shifting and it was only a year old.